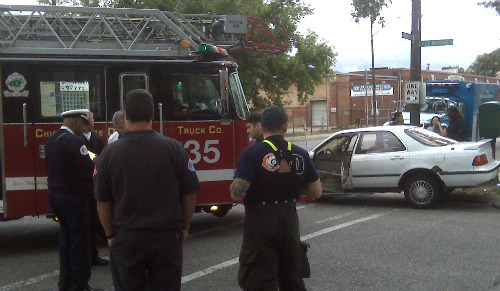 No one was hurt in two separate minor accidents involving Chicago Fire Department vehicles Sunday morning. Both occurred about 10:15 a.m. — one at Division Street and California Avenue involved Ambulance No. 82 and the other was at North Pulaski Road and West Le Moyne Street and involved Truck 35, according to Chicago Fire Department Media Affairs spokesman Quention Curtis. No one was hurt, according to Curtis. Sec. 3‑2. (a) A permanent abode is necessary to constitute a residence within the meaning of Section 3‑1. No elector or spouse shall be deemed to have lost his or her residence in any precinct or election district in this State by reason of his or her absence on business of the United States, or of this State. Nothing in this Section shall be construed to prevent homeless individuals from registering to vote under the provisions of this Act. (b) A homeless individual must have a mailing address in order to be eligible to register to vote. For purposes of this Act, a mailing address shall constitute a homeless individual’s residence for voting purposes. A mailing address of a homeless individual may include, but is not limited to, a shelter, a day shelter, or a private residence. NAIDW’s Internet tools help injured & disabled workers survive the wait for benefits!